Although we are proud of our products, services and technology, nothing matches the pride we have in our team. We learned long ago that we are really in the business of building relationships. For that reason, we hire only the most qualified individuals to serve on our team. 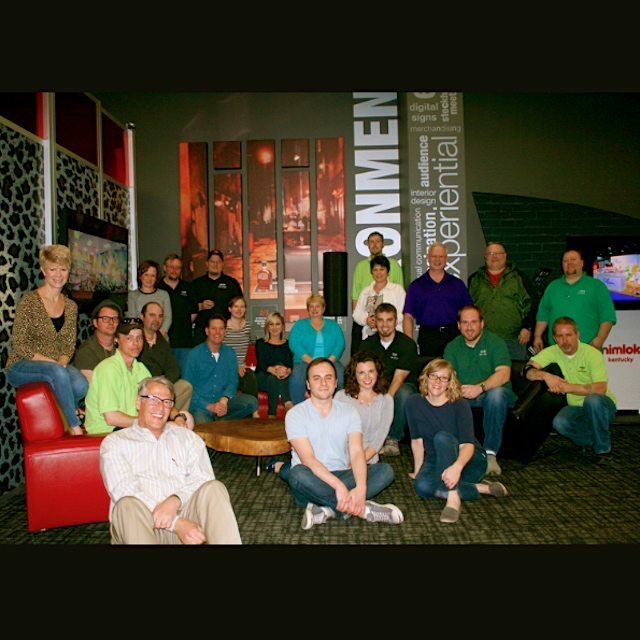 Our 25+ member team has an average of twelve years experience in the industry. Every team member is committed to providing excellent customer service and producing high-quality products. As you work with us in the future, we are confident that you will experience this first hand. We are able to produce, manage and install your project at virtually any location in the United States and many areas overseas. Let us manage your project and save you the time and trouble!